Congratulations Team 3137 on your great efforts at Hofstra this year. We did great this year. The robot was helpless on Thursday but we pulled it all together on Friday and Saturday. We placed 10th out of 51 teams. We also got moved up to a seeding position of 7th. We made it all the way to the semi-finals but the other alliance got the better of us. Great work and best of luck next year team. Hello Members DON'T FORGET to go to the fll competion happening on the 7th of december. We need all the help we can get. And alse congrats on your win at Half Hollow Hills. 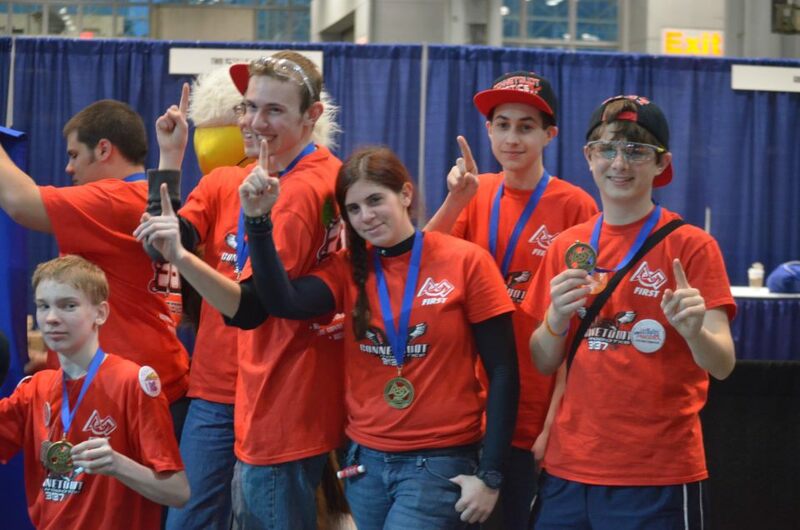 Congrats team 3137 on winning at Jacob Javits. Good luck in St.louis check the calender for upcoming events.